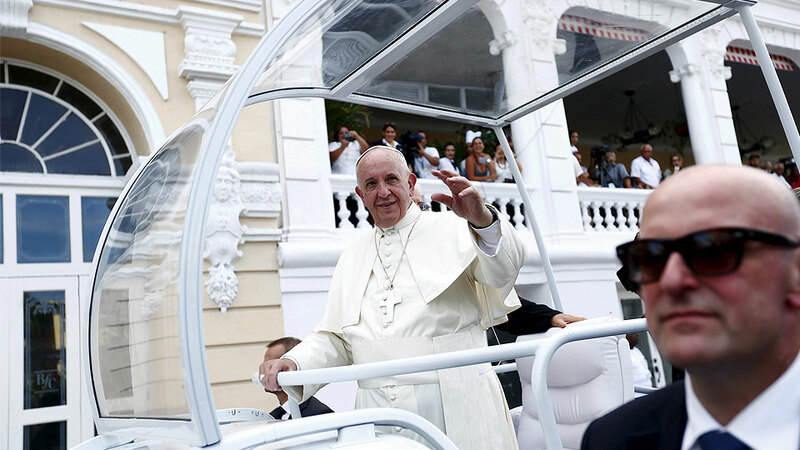 In his fifth apostolic journey outside of the European continent, Pope Francis will visit Cuba and the United States of America, marking his longest trip thus far. He will spend 3 days on the largest and westernmost island of the West Indies, followed by a 5-day visit to the American East. 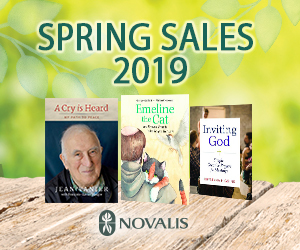 In a series of articles, I will introduce the places that will be visited by the Pope from the perspectives of a Catholic pilgrim. Today, let us travel to Cuba first. Since its discovery by Christopher Columbus in 1492, the island of Cuba has been ruled by the Catholic monarchs of Spain, and briefly by France, England and the USA, until the country gained independence in 1902. Baracoa, the first colony, became a bishopric in 1517, but the seat was transferred to Santiago when the capital was moved there in 1522. 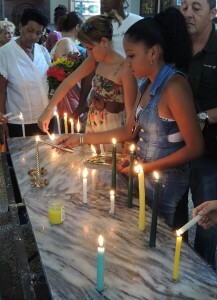 The capital again moved to Havana in 1552, and the second Cuban diocese was established in the new capital in 1787. 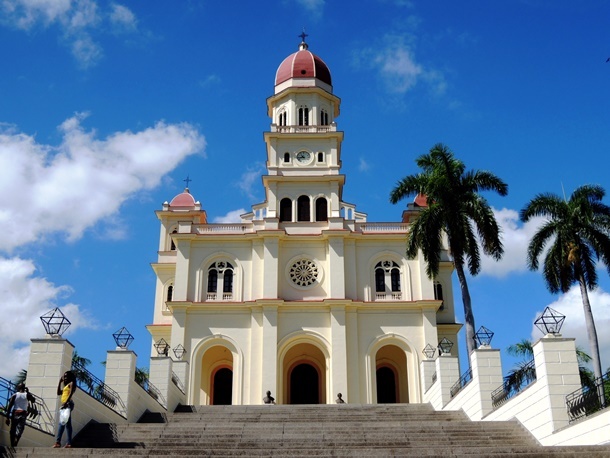 Today, there are a total of 11 dioceses in Cuba organized into 3 ecclesiastical provinces (Havana, Santiago and Camagüey), with a total of 6.8 million Catholics out of 11.2 million people, served by 283 parishes, 16 bishops, 196 secular priests and 169 religious priests, 84 deacons, 35 religious brothers and 624 religious sisters. 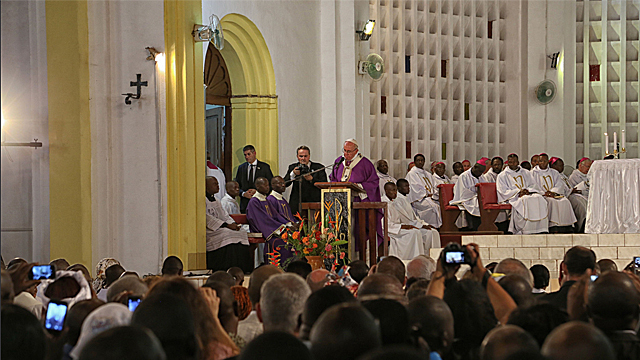 Pope Francis will be visiting two cathedrals in Cuba: the cathedrals of Havana and Santiago. 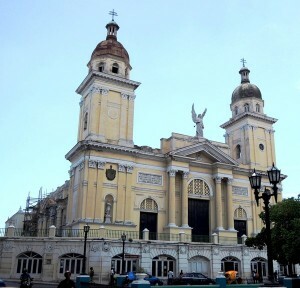 The Baroque-style Metropolitan Cathedral of the Immaculate Conception in the capital was built between 1748 to 1777 with coral rocks, flanked by two asymmetrical bell towers. The interior is neoclassical in style, with black and white marble floor, supported by massive stone pillars. Columbus’ remains once rested under an altar in the cathedral. The cathedral was declared a UNESCO World Heritage Site in 1982. On 20 September 2015, Pope Francis will lead Vespers in this church. The Cathedral of Our Lady of the Assumption, the seat of the Archbishop of Santiago de Cuba, was first built in 1526 but destroyed by fire merely a year later. The second cathedral was completed in 1555, but it lived only to suffer continuously from pirate sacking, fire, earthquakes and hurricanes. A third cathedral opened in 1690 until its destruction by an earthquake in 1766. Finally, the fourth and present cathedral was constructed from 1810 to 1818, and became the first minor basilica of the nation in 1882. When I visited the cathedral in 2013, it was in bad need of repair. 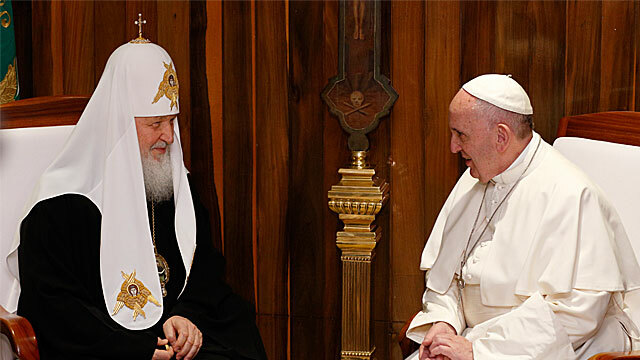 Some reparations were made in 2014, in time for the Pope’s visit on 22 September 2015. Other than the cathedrals, the Bishop of Rome will also visit an important Marian shrine in El Cobre, the highlight of the Cuban trip. 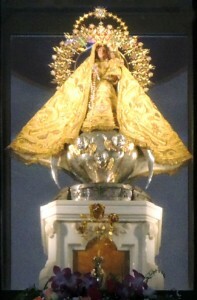 Our Lady of Charity (Nuestra Señora de la Caridad, or affectively called la Mambisa) has a history dating back to 1612. Two Indian brothers and an African child slave set out in a bay in Eastern Cuba to collect salt for the workers in the village presently named El Cobre. A storm appeared and was about to overturn the canoe. With a Marian medallion the 10-year-old slave was wearing, they prayed in fear and devotion for the protection of the Virgin. The skies became clear in an instant, and they saw a statue floating on the sea. On closer look, it was a statue of Our Lady on a small wooden plank, holding the child Jesus, with the inscription “I am the Virgin of Charity” in Spanish. The statue was completely dry to their surprise. A simple chapel was immediately built in Barajagua to house the statue. On several occasions, the image disappeared for hours, leading to people’s speculation that it was to meant to be placed in a different spot. The statue was later transferred to the top of a small hill in El Cobre where a church was built. The Shrine of Our Lady of Charity, rebuilt in 1927, houses the statue till this day. The statue made of baked clay measures 40 centimetres tall. The Blessed Virgin, standing on a brilliant moon with angels on a silver cloud, holds the baby Jesus who holds a golden globe on his left hand while raising his right hand to bless. When I was there a few years ago, I saw a lot of local pilgrims, lining up to pay homage to the Blessed Mother and burning candles. Pope Benedict XV declared Our Lady of Charity of El Cobre as the patroness of Cuba on 10 May 1916. The statue was canonically crowned on 20 December 1936. The national shrine was raised to the dignity of minor basilica on 22 December 1977. Pope John Paul II and Pope Benedict XVI visited the shrine during their apostolic journey to Cuba in 1998 and 2012 respectively. The latter pope even granted a golden rose to the basilica, a privilege of which only a few shrines around the world can boast, on the occasion of the 400th anniversary of the discovery of the statue. 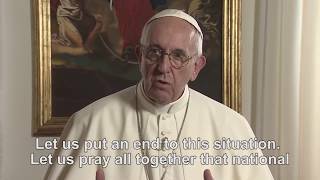 Pope Francis will be in the basilica on the evening of 21 September 2015 for prayer, and on the next day for Mass. As the Pope is embarking on his visit to Cuba, let us pray for the reinvigoration of the faith of the Cuban people and Our Lady of El Cobre's protection on the nation.